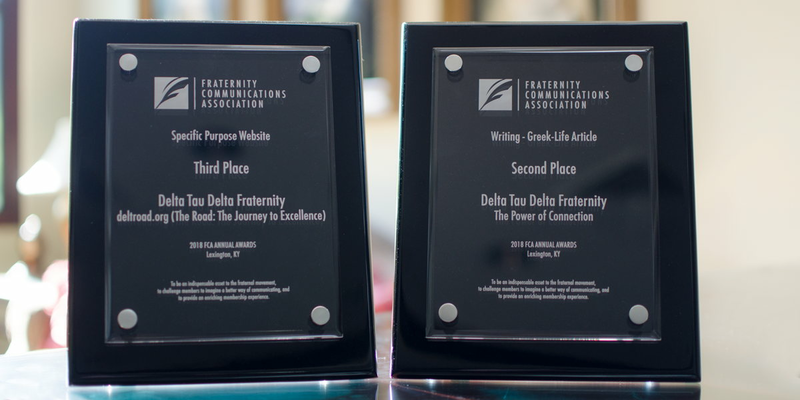 Delta Tau Delta received two awards from the Fraternity Communications Association at its annual meeting in May 2018. For the category of “Specific Purpose Website,” Delt placed third for deltroad.org. The website is home to The Road the Journey to Excellence, the Fraternity’s comprehensive member education program. The Road creates a distinctive Fraternity experience for each undergraduate from the day he accepts his bid to the day he graduates from college. The Fraternity Communications Association (FCA) seeks to enhance fraternity communications through the exchange of ideas, experiences and information. FCA, originally known as College Fraternity Editors Association, was founded in 1923. More than 80 Greek-letter organizations are members. Award Winning "Writing – Greek Life Article"